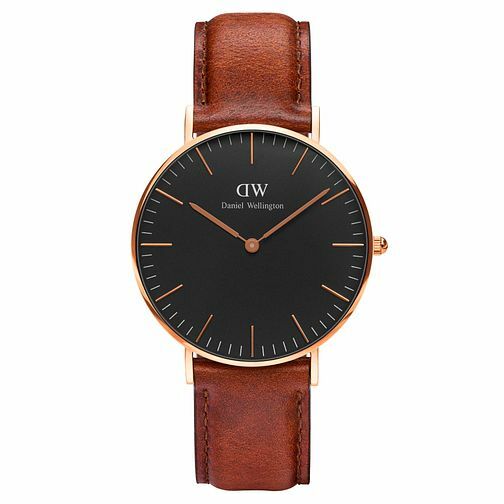 This elegant timepiece from Daniel Wellington, is part of the flagship Classic Collection. The slim silhouette delicately sits on the wrist, the minimal dial gives this watch timeless appeal making it the perfect accompanying accessory for those looks. The contemporary rose gold tone tone hands, and hour markers are beautiflly contrasted against the 36mm black case giving it an understated yet contemporary finish. The watch is finished with brown genuine leather strap for the final touch of sophistication.